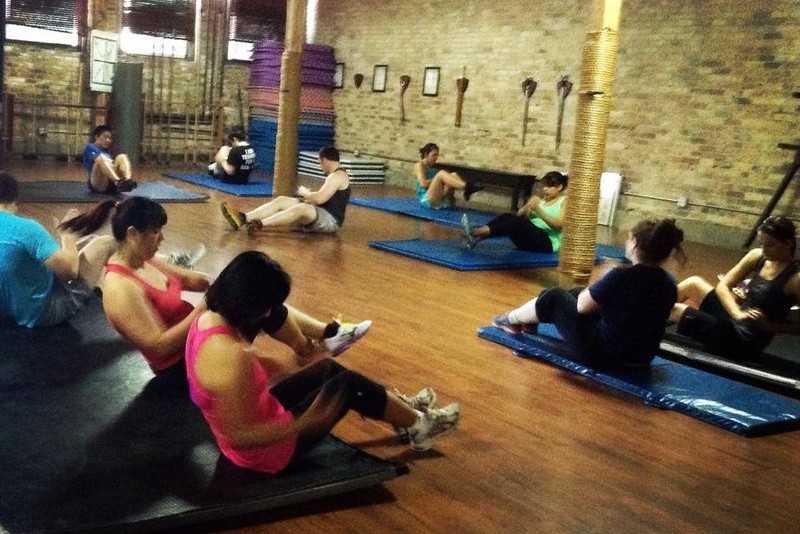 Get fit, build confidence, and feel like a warrior with Chicago’s most unique boot camp: FightingFit!, A unique program of seven separate, but inter-related modules that will let you toughen-up and push yourself in new ways. Fighting Fit is not a work out, it is a Philosophy. The warrior mind-set drives our concepts of fitness: the Ability to go forward and achieve, regardless of setbacks and resistance. Endurance. Power. Resilience. These are the pillars that make up true strength. Fighting Fit will provide all of these, and more. We work in a fun, encouraging environment to sharpen the best “you”. We not only sweat, we learn to improve our bodies and our lives. Do you want to discover the best you? To refine you will and your body until nothing can stop you from living your life? There is no end to life challenges, on the field, in the ring, and in the board room, you need to be at your best. Find out what that means. 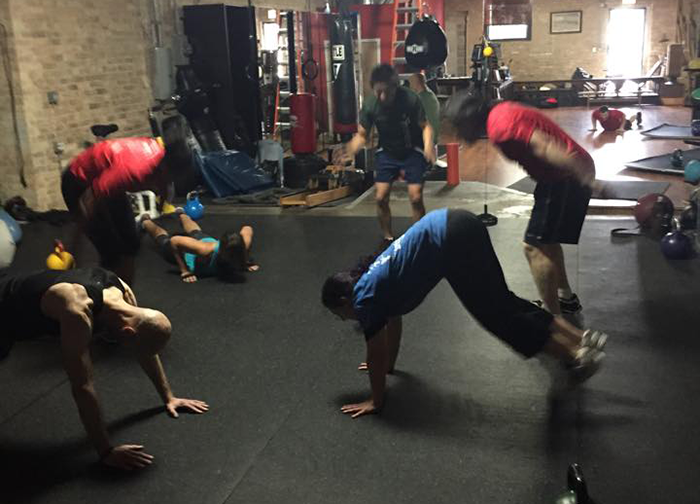 The centerpiece of the Fighting Fit program, our new Core class is martial fitness at its best. Sweat and grind away fat while learning the basics of street self-defense. Sweat and grind away fat while learning the basics of street self-defense. Heart strengthening calisthenics and Spartan-style training will build your endurance and will to go forward. Pad drills and kick boxing basics will get you light on your feet and delivering stinging punches without having to fight any one. All levels, difficulty will be scaled to the members experience and fitness. (Also a part of our Combatives and Counter-Violence program! Drive your way to victory with Hard-Style Kettlebell training. Highly skilled instructors will teach you the skills and focus needed to wring the true power out the Kettle bell. Class will cool down with core work to make sure you are a tough as you are strong. The program will build your body in clearly defined steps. All levels of gym-goers have something to learn here. Mobility and recovery are keys to any successful work out program. There is more to flexibility than stretching. Joints need to be supple and ready for action at all times so that you can feel at your peak condition at all times. Working out can grind the body down. Take a moment to build it up again. This class will focus on movement skills, flexibility drills and other staples of martial movement. Yin, or “Recovery”, yoga is a slow-paced style of yoga with postures that are held for longer periods of time — for beginners, it may range from 45 seconds to two minutes; more advanced practitioners may build the flexibility and endurance to stay in one posture for five minutes or more. The Yin Yoga class meets Wednesday mornings at 6 AM. Classes start the week of October 2nd. You can attend as part of your FightingFit! membership, via punchard or by purchasing a month of classes through the website. What busts stress like taking to a heavy bag? Nothing! 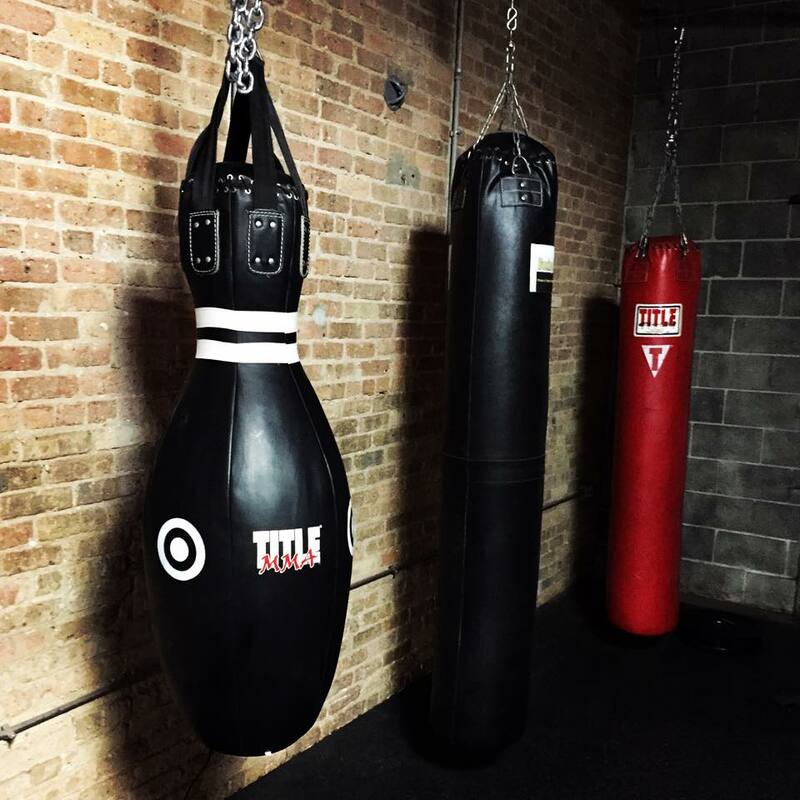 Let out tension, build agility and fluidity and learn real, practical fighting skills in this dynamic and fun class that combines elements of boxing, kick-boxing and Muay Thai. 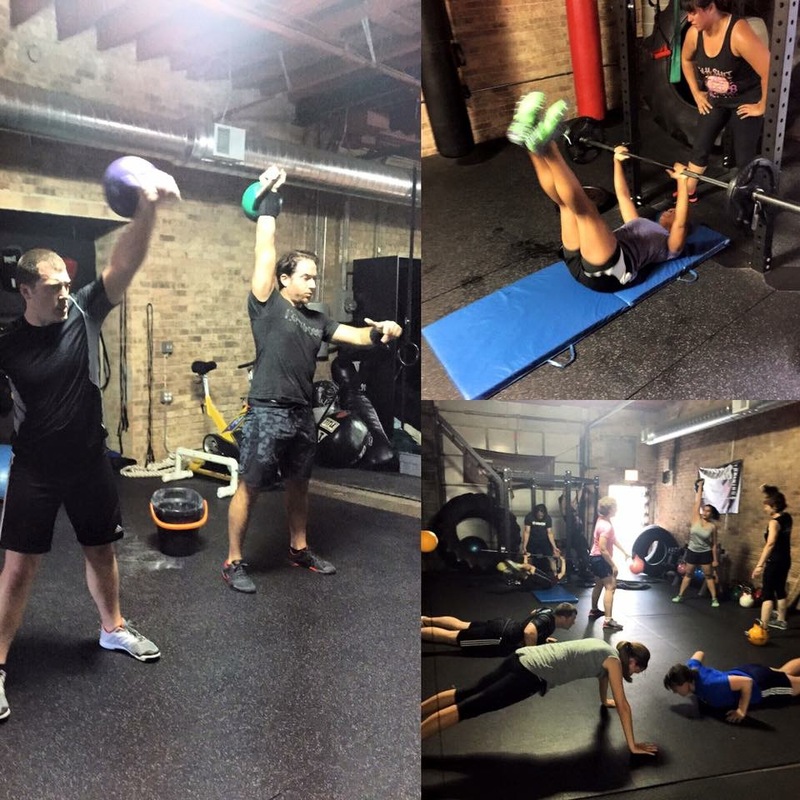 Push yourself to be your best in our Sunday morning bootcamps! Specifically designed with the needs and objectives of Spartan and other adventure racers in mind, this is our “bring your best and leave behind the rest” workout! Each week offers a new challenge. The entire fighting fit team will pitch in to design work outs designed to prepare you for upcoming team challenges. Workouts range over a wide variety of topics but one thing is certain, it will push you to your limits and sweat away your fearYou may be fit, but are you Spartan fit? Exercises allow for a personal and internal focus on body mechanics, speed, and strength. Exercises are designed to give you a balanced workout of cardiovascular, muscular, and technical training. All equipment is provided. You need only bring your workout gear, supportive footwear, a water bottle, and a sense of determination! A pair of snug-fitting gloves is recommended but not required. a form of fitness that is exciting and not monotonous. If you’ve been wanting to get off your couches and become more comfortable in your own skin, then your journey starts here! Beginning is easy! Enroll in our FightingFit! or All-Inclusive programs and turn up to as many of these classes as you like; be ready to work!